A reliable and feature-packed data collector, at an astounding price. The DC6 picks up where the DC5 left off; adding a faster processor, a 9-pin serial port, and more storage space. 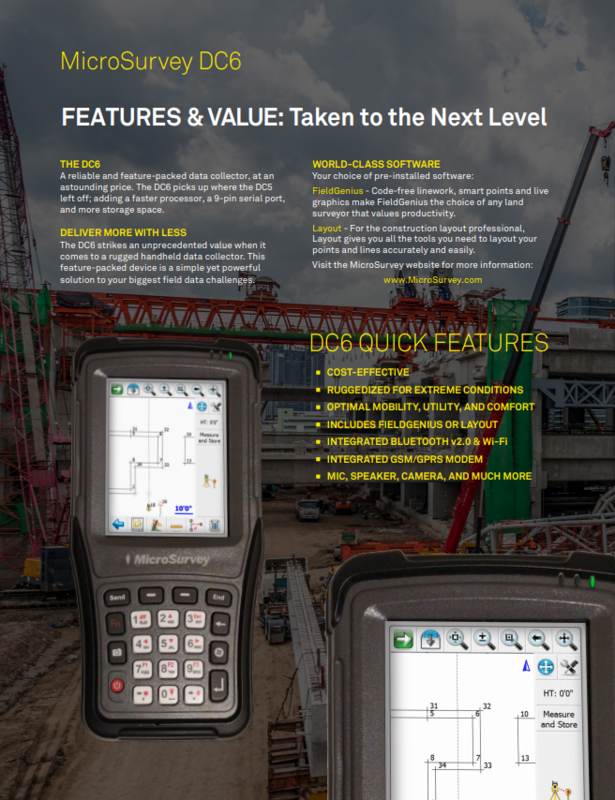 The DC6 strikes an unprecedented value when it comes to a rugged handheld data collector. 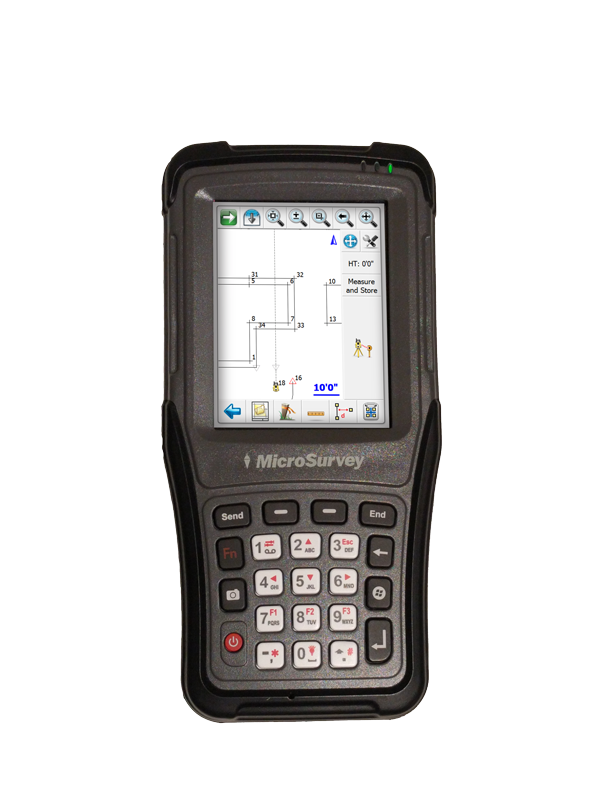 This feature-packed device is a simple yet powerful solution to your biggest field data challenges. FieldGenius - Code-free linework, smart points and live graphics make FieldGenius the choice of any land surveyor that values productivity. Layout - For the construction layout professional, Layout gives you all the tools you need to layout your points and lines accurately and easily. Competes with top-of-the-line data collectors, yet at a fraction of the price.